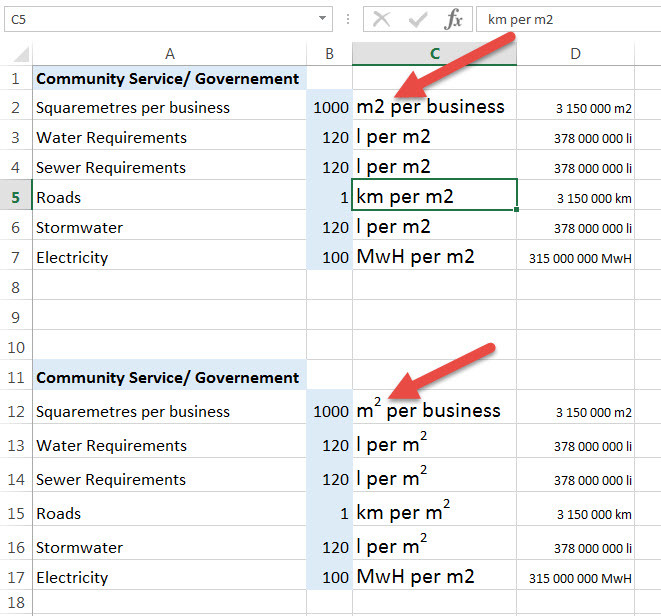 When working in Excel, you may wonder how to put m² in Excel cells so that it looks like metres squared instead of just m2. It is surprisingly easy. Below what the text looks like normally and with the superscript 2 (the word for little character next to a big character). Choose the Superscript option and click OK.
Now instead of m2 you will get m². 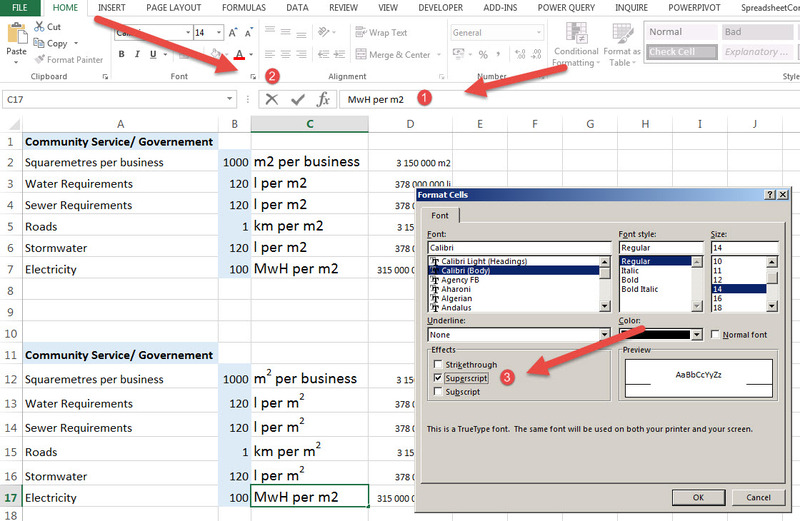 You can use this for a number of formatting options.